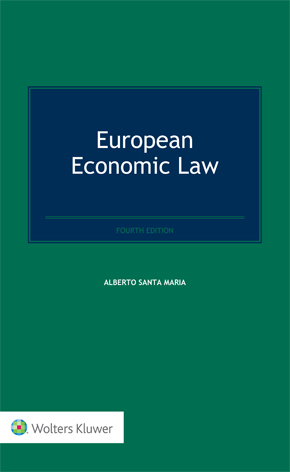 European Economic Law presents a thoroughgoing legal analysis of the prominence of corporate and business enterprises in what many theorists see as the intrinsic ‘internationality’ of social activity in the current era. In the course of its intensive discussion, the book brilliantly disentangles the complex interrelations among a vast array of economic factors. Since the last edition of this pre-eminent work five years ago, the European framework in the international setting has substantially changed. Numerous critical developments have highlighted shortcomings in the European structure that seems incapable, in its present complexity, of resolving the apparently intractable problems it confronts. This book’s highly respected author is uncompromising: either we have the courage to establish profound, constitutional reforms aimed at renewing the EU in the collective imagination or we risk contenting ourselves with merely an economic community with a far-from-ideal single market where even the four basic freedoms guaranteeing all actors, individuals and enterprises are put under discussion. State aid between competition law and the non-discrimination principle. Emphasizing the complex legal regime affecting undertakings in Europe today, Professor Santa Maria recognizes the propelling role of the ECJ in the development of European economic law – including the ‘proportional’ exercise of control in the court’s case law – as well as the Commission’s responsibility for ‘managing’ European trade. Previous editions have been applauded for their unremitting emphasis on rules introduced on the basis of multilateral agreements of an unprecedented reach, within which both States and undertakings are made to recognize and deal with one another. In this fourth edition, this perspective, daunting in its scope and breadth, is maintained and expanded, providing a synthesizing and enlightening analysis that will be of immeasurable value to all parties with an interest – academic, juridical or administrative – in this very important area of law.